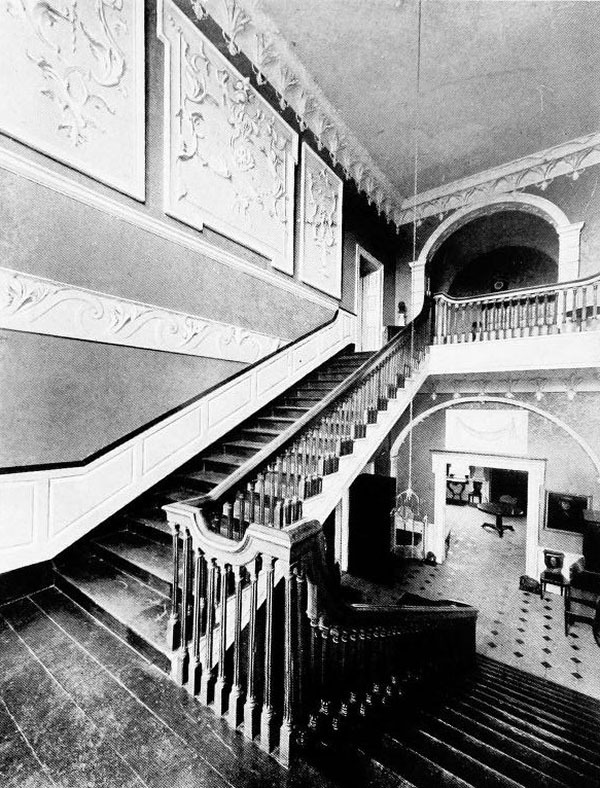 Florence Court is romantically named after the wife of Sir John Cole who first built a house on the spectacular site in the early 18th century. 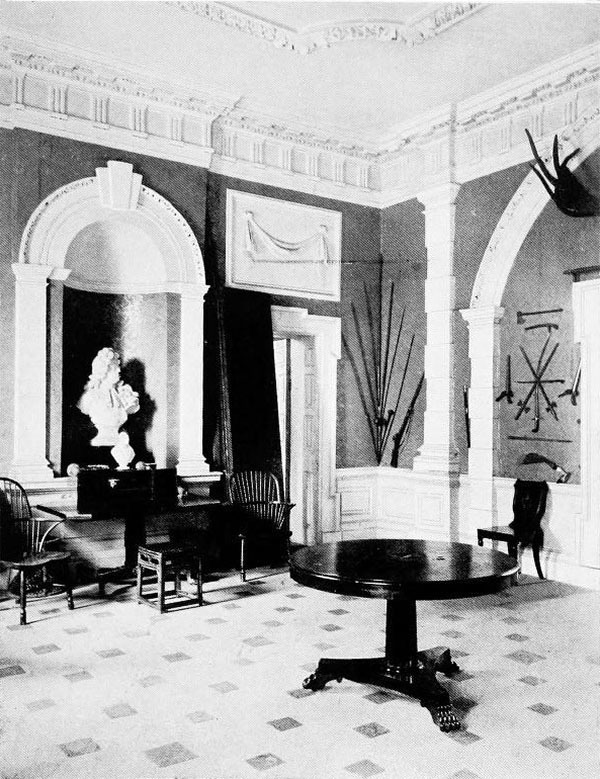 The present Palladian style house was probably built by his son John, afterwards the 1st Lord Mount Florence. 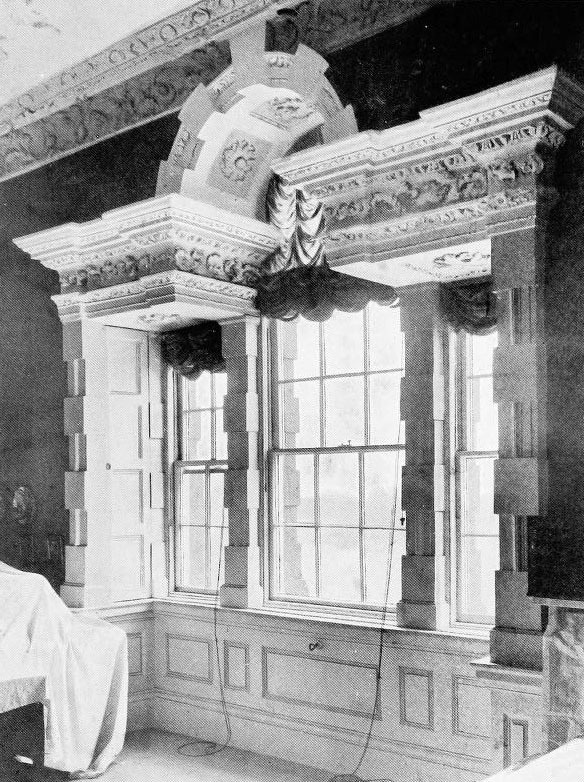 Estimated between 1758-64, the main block is three rooms wide and two rooms deep. 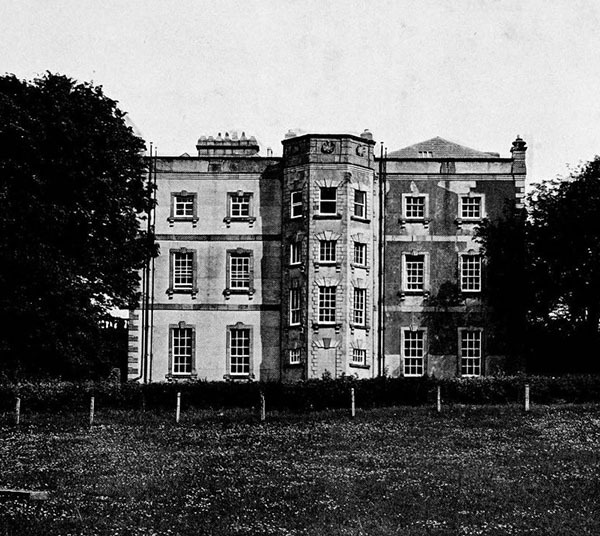 The wings and pavilions were added to the mid-18th century block around 1770 by William Cole, 1st Earl of Enniskillen and possibly was designed by Davis Ducart. 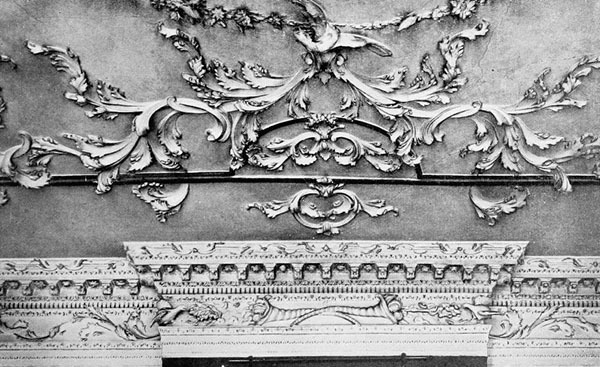 Disaster struck Florence Court in 1955 when the main building was virtually gutted by fire after it had been handed over to the National Trust. 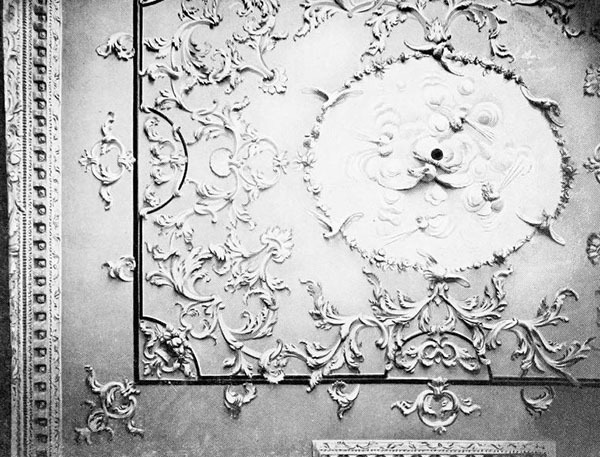 The rest of the house and the sumptuous rococo plasterwork has been meticulously restored by the National Trust. 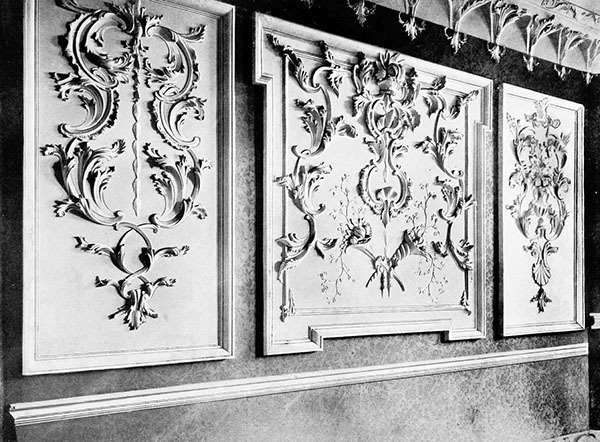 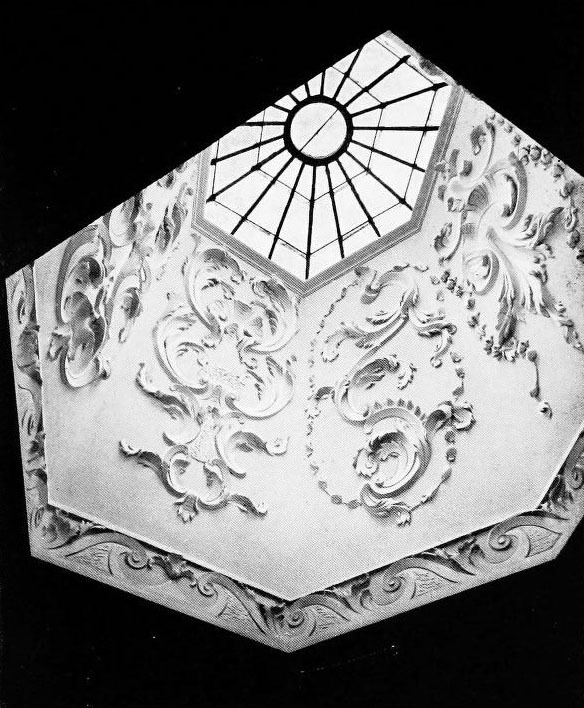 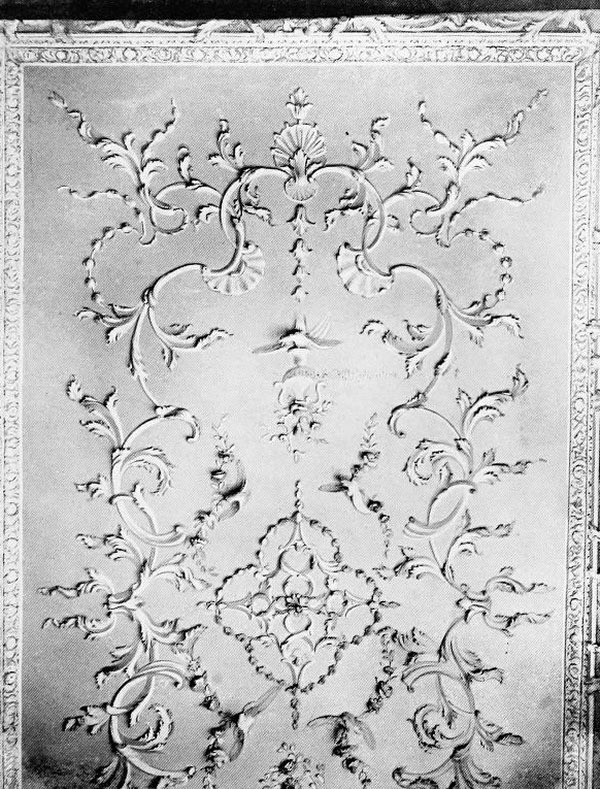 Photographs of the stuccowork on this page date from 1905.